Yeah, isn’t it awesome? I might have preferred a few more flies buzzing around but as far as I am concerned this is great. 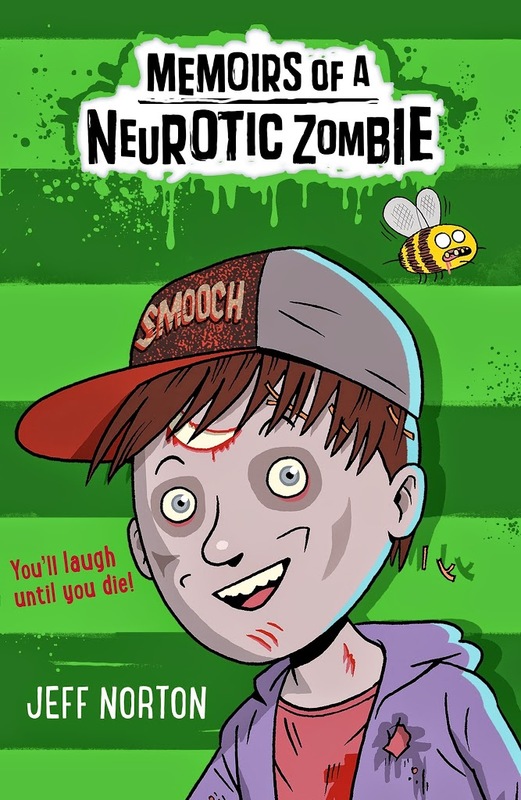 It will definitely be picked up by those 9 or 10 years olds fascinated with dirt and zombies and things like that. I love the tag line too and honestly think it will be true! Anyway the extract is below, if you want to can carry on from my extract – which is the very beginning of the book – you can visit Kirsty’s blog The Overflowing Library. I died, and now I’m back – zombified. Apparently there was a funeral, which I don’t remember, and then a really dark grave, which I definitely do. It’s hard to forget climbing up through two metres of dirt. And I should tell you; I don’t like dirt.Or mess. The school guidance councillor called it ‘early onset’ Obsessive Compulsive Disorder, but that when it comes to germs, it’s better to catch them too early than too late. She also said I worry too much. But I say, there’s a lot to worry about. I worry about running out of shampoo. I worry about the factories that make nit-free candy and yet cannot guarantee that they’re made in a nut-free environment. I worry that there are no air bags in school buses. I worry about robots rising up against humanity. I used to worry a lot about dying, but I suppose I can cross that off the list now. But thanks to my unhelpful guidance councillor, I now have to worry about worrying too much, so the list doesn’t get any shorter. This is my strange story, and I swear on a stack of vintage comic books that it’s all true. So read on, if you dare. But please wash your hands first. With anti-bac soap and hot water.